Bringing the body of the tree to the network is a natural fit — a tree is a network too: roots sensing and absorbing nutrients, leaves sensing and photosynthesizing sunlight, and phloem and xylem running throughout to carry nutrients across the structure. WoodEar attempts to merge the dynamic qualities of this biological network with the digital network. A series of sensors attached to the tree stream data on the state of its environment — light, temperature, air pressure, and wind. This live data is merged with photos and recordings of the tree’s immediate surroundings into a generative application/ installation. By downloading and running the application, anyone can access the live environmental experiences of the tree — one that may be very distant from them, but that still shares the same air, sun, earth, and sky. 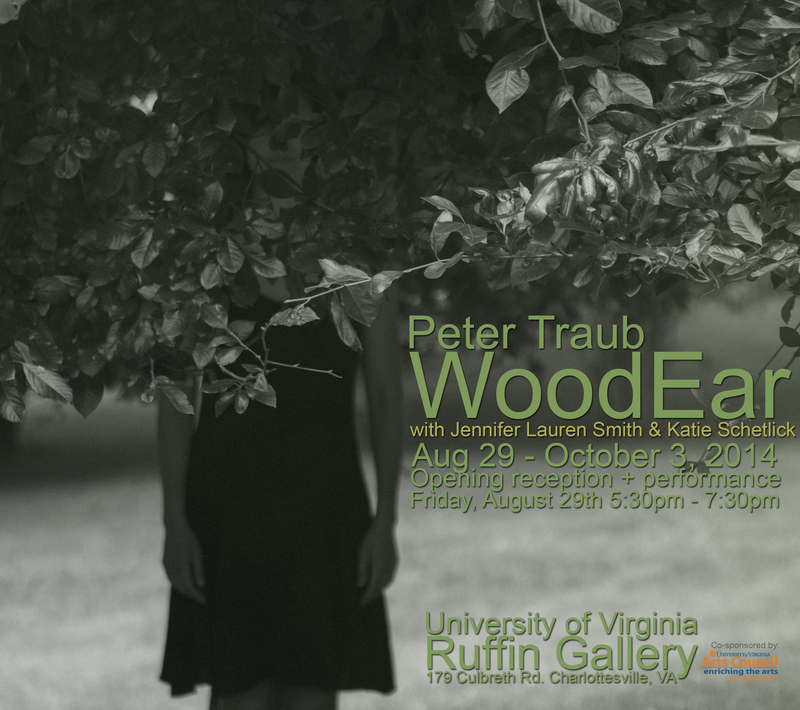 Following a successful five week run at Ruffin Gallery in 2014, Traub put together some video documentation. The video shows the four main visual pieces of the installation, along with the audio component, as they appear and sound at different times of day. Software Download. Sound on. The sensors don’t work at night, so listen/watch during daylight hours EST/EDT.